In the last three months The Rolf Institute® of Structural Integration has, for the very first time, produced two fantastic videos. The shorter video is geared toward people who are interested in Rolfing SI and are considering getting some Rolfing sessions. It shows Certified Rolfers working with clients, interviews with faculty members and Rolfers such a Thomas Walker, Heather Starsong, and Darrell Sanchez, as well as some vintage footage of Dr. Ida Rolf herself. Fascia as a system-wide three dimensional web is discussed as well as shown in some video courtesy of Dr. Jean-Claude Guimberteau. I encourage you to watch the video even if you are already familiar with Rolfing SI. 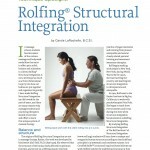 I know it can be quite difficult to explain Rolfing to your friends and family members. This video can be a great resource for you to share with others who you think would benefit from Rolfing, but feel you just don’t quite know how to explain it to them. The longer video is geared toward prospective students who are interested in learning Rolfing SI. Students studying at The Rolf Institute of Structural Integration are interviewed, sharing their experiences about why they decided to train as Certified Rolfers. Rolf Institute faculty are interviewed, including Tessy Brungardt, Russell Stolzoff, Ray McCall and others. Jan Sultan and Michael Salveson, who studied directly with Dr. Ida Rolf in the 1960s and 1970s, speak about her and their experience of studying with her. If you’d like to learn more about The Rolf Institute as a school and their training program this is the video for you. 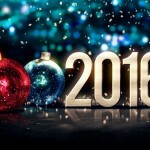 I hope you will watch, learn something new, and share these videos with others. It is a pleasure for me to see our fabulous teaching faculty sharing themselves in a more public way in support of Rolfing SI and The Rolf Institute.